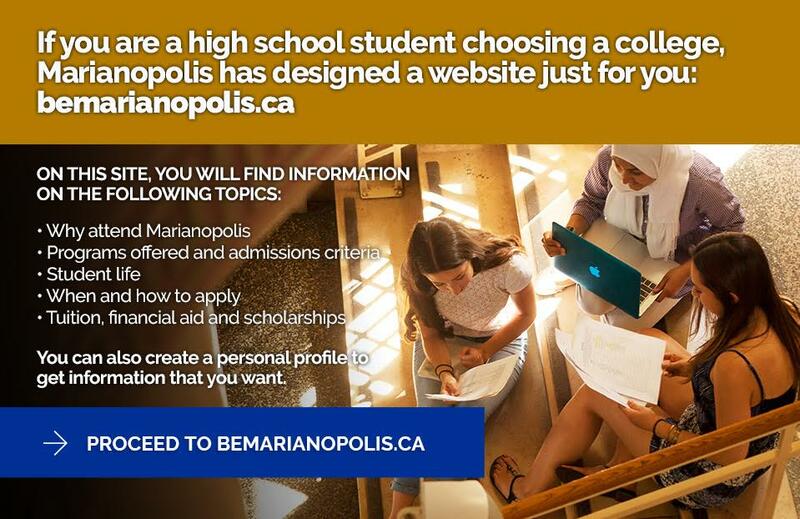 Marianopolis College’s Library offers a wealth of online resources and print collections, excellent research assistance and a great space to study. Consult the Library’s Newest Additions LibGuides for lists of our newest books and films. While the ground floor of the Library is closed for renovations, all Library services are available. The Library is located in the C-Wing and the entrance is on the 200 level. For assistance, please email or call ext. 289. The Marianopolis College Library LibGuides are specialized research guides that the librarians have put together to support many of the classes at Marianopolis. All of the guides are listed on the main page of the LibGuides site according to their course numbers. The Performing Academic Research LibGuide also offers general tips on research, including identifying scholarly articles, evaluating sources, identifying primary and secondary sources and creating a research plan. You may also wish to consult the Library’s Glossary of Library Terms. Find print books and eBooks in the College’s online catalogue. To borrow a book, please go to the Circulation Desk in the Library. To use the Library Catalogue on an Android or iOS device, download the free Bookmyne app. To log in to the Library’s databases, use your username (your student number, followed by “@marianopolis.com”) and your password (the one you use to log in to the school’s computers). Consult the Library’s Newest Additions LibGuide for lists of our newest books and films. For more free online book resources, please consult the Library’s Open Access Resources LibGuide. Find print journals in the College’s online catalogue. For more free online journal resources, please consult the Library’s Open Access Resources LibGuide. The latest print editions of The Globe and Mail, The National Post, Montreal Gazette, La Presse and Le Devoir are available at the Library. Find DVD and VHS films in the College’s online catalogue. Find CDs in the College’s catalogue. For music research resources, see the Library’s Music Resources LibGuide. Print dictionaries may be borrowed for three hours at a time from the Circulation Desk. To borrow an item that is on reserve, please go to the Circulation Desk. For more information about the Reserve Collection, see the Library Reserve Collection LibGuide. Students may borrow material for free by presenting their College I.D. cards. When they borrow material, they must note the date and time that they due. If they return an item after its due date or due time, the item will be considered late and they will be charged a fine. Renewals: Books from the Circulating Collection may be renewed once online via My Account for an extra 14 days. Further renewals of books from the Circulating Collection may be made at the Library (without the books in hand, with the student’s College ID card). Books which have been requested by another student cannot be renewed and must be returned by their due date. Holds: Students may request that a book on loan be placed on hold, so they are guaranteed to receive the book when it is returned. If students are unable to locate a book or periodical on the Library shelves, they may request a search at the Circulation Desk. Abandoned items: Students are charged $5 per Reserve, Reference or Films/Music item that they borrow and abandon anywhere at the College, including in the Library. Total fines of $5 or more: Students will lose borrowing privileges temporarily if they have unpaid fines that are equal to or in excess of $5. Their borrowing privileges will be reinstated after they pay the outstanding fine. At the end of the semester, all students with outstanding overdue books and library fines will be placed on the Library’s suspension list and their names will be forwarded to the Finance Office for Billing. Overnight Reserves: Many two-hour reserve items can be borrowed overnight starting at 4 p.m. Monday to Thursday and over the weekend starting at 2 p.m. on Friday. They must be returned by 8:30 a.m. on the following school day. Students cannot borrow a book if there is only one copy on the Reserve shelves. The College’s Copyright Policy outlines the rules that the Marianopolis community must follow when using copyrighted material. Copibec’s exclusions list indicates the categories, works and publishers that are not covered by the College’s license with that organization. Under the College’s Copibec license, members of the College community may reproduce 10% or 25 pages (whichever is less) of a work that is intended specifically for college-level education, or 15% or any other book or periodical covered by the Copibec agreement. For reproductions that exceed that or to copy any items on the exclusions list, students should contact Information Services Librarian Matthew Flanagan and Marianopolis employees should consult the Copyright section of the Launchpad. © 2019 Marianopolis College. All rights reserved.